As you know, the flipped classroom relies heavily on students being prepared and ready to engage in the learning activities. What do you do when students come to class unprepared? Do you give a quick lecture to recap the pre-class content so everyone is on the same page? Do you give the unprepared students an alternative assignment? Do you kick the unprepared students out of class? Depending on your teaching philosophy and the classroom environment you want to create, you probably want to pro-actively design the learning environment using strategies to promote learning and personal development instead of relying on punitive measures to change behavior. You can read more in the article Five Ways to Motivate Unprepared Students in the Flipped Classroom. Flipped learning environments are dynamic, interactive, and engaging. Students are actively engaged in solving problems, talking with each other, working through a task, or creating a product. The instructor provides assistance and asks questions when necessary. The instructor might take a moment to gather everyone’s attention and provide an explanation or reinforce a concept, but then the energy would immediately “flip” back to the students. At its core, the flip shifts the focus from the instructor to the students. The flip occurs because the focus is on what the students are doing, not on what the instructor is doing. If we relate this idea to the quote above, you could say the instructor is being more passive while the students are being more active. The instructor is being what Dr. Barbi Honeycutt, in a FlipIt article, calls “actively passive” because it takes a great deal of energy, attention and awareness to step to the side and support students’ learning in this type of environment. A flipped classroom is “messy” which means students are often working through problems or confronting situations where there might not be a clear answer or a perfect approach. If the instructor needs structure, control, and needs to know exactly what to expect at every moment in the lesson plan, then this will probably be the most difficult challenge for them to tackle. This might also be the most challenging task for the students to tackle as well. Some students do not appreciate the “gray” area in the learning process. This is a teachable moment and one that the instructor can model for the students. This does not mean the instructor has to let go of control of the classroom. They still plan and organize, but should allow time and provide structure for students to practice, make mistakes, try again, and make connections about the course material. A flipped class is active. Students are always engaged in a task or working on a problem, and the instructor’s role is to support that learning process. When the instructor is serving as the “guide on the side,” it’s essential for the instructor to ask questions that generate a response. Avoid questions that have a “yes or no” response which doesn’t stimulate critical thinking or analysis. Students in a flipped class should be thinking, analyzing and creating. As they work, the instructor’s role is to let the learning happen. This means the instructor is there for the students, providing resources, and organizing the structure, but it also means stepping back and letting students work through the learning process without too much input from the instructor until they need it of course. For many instructors, silence in the classroom is awkward and they want to fill up the time by talking more, lecturing more, or sharing more examples. But sometimes students need quiet time to think, to process or to review what they’ve just learned. Author Janice FlorentPublished on September 18, 2015 Leave a comment on Can you Flip an Online Class? The flipped classroom is an active learning strategy that is being used by a number of educators. At its core, the flip means shifting the focus from the instructor to the students. This is done by inverting the design of the course so students engage in activities, apply concepts, and focus on higher-level learning outcomes. The flip has moved away from being defined as only something that happens in class versus out of class. Instead, it focuses on what students are doing to construct knowledge, connect with others, and engage in higher levels of critical thinking and analysis. This applies to both the online and face-to-face environment. The real flip is not about where activities take place—it’s about flipping the focus from the instructor to the students. Ask students to locate important course information, announcements, and deadlines. Offer an incentive for the first one to submit the completed scavenger hunt activity. Incentives may include the first choice on presentation topics, the chance to drop a low quiz grade, or the opportunity to gain an extra credit point on the final project. Why it works: Students are actively locating information and constructing their own mental models of the course rather than just reading the course web site or listening to a video as you describe the structure and organization of the course. Create a hashtag just for your course. Encourage students to use the hashtag if they find course-related items in different social media spaces or elsewhere on the web. The hashtag should be unique to your course. Consider reviewing the posts and then sharing an item a week with the entire class. Why it works: Students are actively contributing to the conversation by sharing resources and information they find rather than just reviewing the content you have collected. Develop a low stakes assignment to encourage self-reflection and analysis. Ask students to reflect on their own learning styles or personality in the online environment before beginning the semester. Encouraging students to think about this actively might help them to prepare for the online environment as they analyze their strengths, weaknesses, challenges, etc. Supplement this activity by making it a private forum requirement, then post a global response to students afterward with suggestions on how to succeed in the online environment. Why it works: Students are asked to analyze and evaluate their strengths and weaknesses in regards to a course, activity, or assignment. This can help build students’ capacity to advance towards higher levels of critical thinking. These are flipped strategies because they shift the focus from the instructor to the students; they encourage active participation from students rather than passive observation; and, they engage students on a higher level by encouraging creativity and evaluation rather than basic knowledge recall. Most importantly, these strategies can work in an online environment. If this has piqued your interest, you can read more in the Faculty Focus article, “Can You Flip an Online Class?” and my blog post "Look for 'Flippable' Moments." Published on September 18, 2015 Author Janice FlorentCategories CAT & Mouse: E-Learning, Pedagogical TidbitsTags flipped classroom, flipped learningLeave a comment on Can you Flip an Online Class? With all the discussion around flipped classrooms and flipped learning, educators are asking "How do you determine what can be flipped?" In addition to this question, educators are wondering when and where flipped strategies are best integrated into the learning environment. Some topics lend themselves more easily to flipped strategies than others. Lesson plans generally have the opportunity for at least one "flippable moment." Ask yourself, “What’s the most difficult or challenging part of this lesson?” “Where do I anticipate students’ having problems or encountering difficulty?” These are the places in your lesson that would benefit from flipped strategies. Re-think this section of your lesson and design an activity for students to engage in. #2. Look for the fundamentals. Ask yourself, “What’s the most fundamental, most essential, and most critical part of today’s lesson?” “What MUST students know before they can move forward?” Some may argue fundamental knowledge isn’t what needs to be flipped, but if this is an essential skill your students need to develop before moving on, then it might be the perfect place to flip your approach. #3. Look at your extra credit question. Ask yourself, “What makes this an extra credit question?” “How could I turn this extra credit question into an activity or project for all of the students?” Extra credit questions are often designed to test the next level of thinking by moving students beyond memorization or comprehension, and therefore they can provide the perfect opportunity to flip your lesson. Ask yourself, “Are the students bored?” “Am I bored?” Boredom will destroy a learning environment. When you come to a point in your lesson or course when boredom strikes, it’s time to flip your approach. Design a task for your students to DO. Instead of continuing to lecture to them, take an actively passive approach and step to the side. Put them in pairs or groups. Pose a challenge. Allow them to design or evaluate something. Give them the space to struggle, practice, and imagine “what if?” so they are challenged and inspired. That’s the power of the flip. If you found this information interesting, you can read more in the Faculty Focus article “Looking for 'Flippable' Moments in Your Class.” Also check out my previous blog post "To Flip or Not to Flip?" Author Janice FlorentPublished on March 23, 2015 3 Comments on To Flip or Not to Flip? By now, most professors have heard of a "flipped classroom" and a number of them are "flipping" their classes. The term "flipped classroom" is often applied to a wide range of approaches to teaching. Flipping in its various forms involves a key trait: It inverts the traditional relationship of students and teachers. Flipping seeks to put the learner at the center of a course instead of the teacher. Many professors try flipping, struggle with it, and quickly revert to straight lecturing. What do you need to think about if you are considering flipping? Here are some resources to guide you. 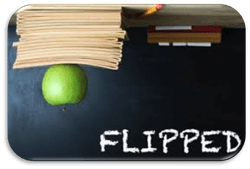 Published on March 23, 2015 Author Janice FlorentCategories Pedagogical TidbitsTags flipped classroom, flipped learning3 Comments on To Flip or Not to Flip?